Ignite your Culinary Passions. Designed and Engineered in Italy. In Northern Italy, on the edge of Lake Como and surrounded by the Swiss Alps, is the town of Bellagio. Majestic and Elegant the Forno Venetzia Bellagio is the perfection of style and performance. Our largest oven. The Bellagio features two gliding preparation shelves and an adjustable oven tool holder. A showcase of entertainment and flame the Forno Venetzia Bellagio is almost a complete outdoor kitchen in itself. With a cooking surface of 36 inch x 32 inch there is enough room for baking, broiling and grilling all at the same time. Cabinet storage for accessories and supplies. Bellagio 300 in Red Ignite your Culinary Passions. Designed and Engineered in Italy. In Northern Italy, on the edge of Lake Como and surrounded by the Swiss Alps, is the town of Bellagio. 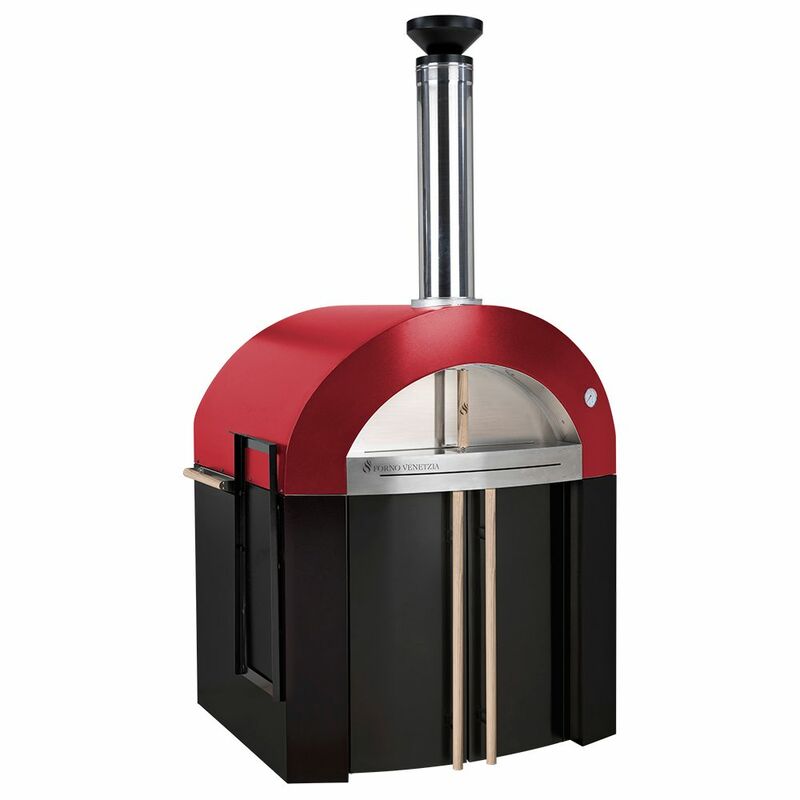 Majestic and Elegant the Forno Venetzia Bellagio is the perfection of style and performance. Our largest oven. The Bellagio features two gliding preparation shelves and an adjustable oven tool holder. A showcase of entertainment and flame the Forno Venetzia Bellagio is almost a complete outdoor kitchen in itself. With a cooking surface of 36 inch x 32 inch there is enough room for baking, broiling and grilling all at the same time. Cabinet storage for accessories and supplies.